Comment: This book looks great. Front and back cover are in great shape. No writing or highlighting in the book. No folded down pages. The spine is tight. A clean copy. Looking back almost 1,000 years, the mists of Japan's chaotic past shroud the development of a way of life, an ancient struggle waged against fierce feudal lords who ruled the island nation with swords of steel and a code of death before dishonor. The people of the mountainous regions of what is now Iga prefecture wanted to live in peace, but their lords had other plans-so the people learned the martial arts of self-defense and used their meager farm tools as weapons against the samurai blades of their oppressors. Nine traditions of the ninja arts grew out of this seemingly endless struggle, and legends were told of the supernatural abilities of the ninja fighters. The ninja never gained the kind of power that topples tyrants, but they gained a reputation that made tyrants cautious. And they gained the kind of power that makes the spirit endure and the mind the master of its fate. Told in actual stories of past grandmasters and in dojo lectures on techniques-with photographs, drawings, and paintings-the last surviving grandmaster of the ancient art of ninjutsu, Dr. Masaaki Hatsumi, presents Essence of Ninjutsu: The Nine Traditions. In it, he explains why, after more than 900 years, the art of the shadow warriors continues to inspire and serve practitioners from around the world. 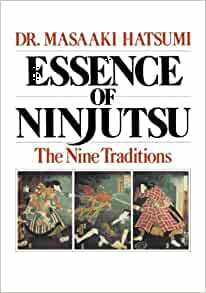 Dr. Hatsumi's book contains historic ninja scrolls and describes techniques for self-defense, and it debunks tricks that are attributed to the ninja but actually derive more from the circus than the martial arts. Essence of Ninjutsu is a fascinating, authoritative look at the roots of ninjutsu and how it continues to enrich the lives of its practitioners today. Dr. Masaaki Hatsumi is a bone doctor, artist, and writer, as well as the 34th grandmaster of the nine schools of the ninja arts in Japan. He has toured the United States in recent years to help Americans better understand the ninja and their way of life. His articles have appeared in all of the major martial arts magazines. Tradition to which the art of Ninjutsu belongs goes back many hundreds of years, and is deeply interelated to other spiritual/esoteric disciplines of the East such as various kinds of Taoist and Buddhist meditations and techniques, of which the understanding of yoga is an integral part. Information regarding Ninjutsu has long been unavailable due to secrecy of its exponents, and also due to basic ignorance of a general seeker. However, they are not outside of our reach anymore, and with this book the precious teachings are even closer within the reach. The author of this book Hatsumi-sensei is considered a pretty enlightened being by many, very serious people - marine trainers, special forces' folks, and all in these kind of occupations, yet while reading one can't help noticing his basic gentleness of character, and openness in sharing that which is the most valued to him - his life's art. 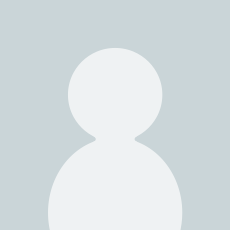 Yet, we may also outline a certain dangerous quality of Dr. Hatsumi's writing, that is in his role of protector of these teaching, a fearsome warrior not to be messed with. The content of the book itself is very tighlty connected to the lore of the Ninjutsu traditions, of which Hatsumi-sensei is the heir. It has some very interesting stories of valor of some previous masters of the school - the way it should be done. For those who are interested in martial application there are some photos with description. One cannot stop wondering at the love and reverence this man has for his teacher, who apparently was a very tough and very knowledgable person. His reverance is passed to us, the readers. Any knowledge requires a hands-on experience in order to be claimed as such. For that a good and through guidence is needed, however even guidence will not do if one doesn't put in any effort, and the effort required for the art such as ninjutsu has to be clear, like a running current of a mountain river. Trivialities may confuse, but what's essential remains non-trivial, like the big round boulders that are being unseizingly polished by that river. 5.0 out of 5 starsGood read, if you are interested in the topic. This is a light read to accompany your real training in a dojo. This is not a how to book, more like a way to look at things and a perspective from Hatsumi Sensei. I have only begun reading this book and it blows my mind. I stop and think about each lesson it teaches because the lessons are deep and important. This knowledge is a must for your life long study in ninjutsu. 4.0 out of 5 starsGreat purchase! Still working through it,but from what i have covered it was not a disappointment. Great starter book also to learning more about the history and overall practice of these great warriors. This book is a very interesting dive into the realm of Ninjutsu, though, if not a member of the Bujinkan yourself, although the techniques seem straight forward at first, I urge you not to try them. I practiced a martial art outside of Ninjutsu when I read this book, and although the concepts of the moves seemed easy enough, they are dangerous to practice without the control and taijutsu that you learn from the Bujinkan. That said, if you are in the Bujinkan, you must own this. 5.0 out of 5 starsAmong The Greatest. This Book Is one of the Most amazing Peices of work Ever Written..
A Must Buy if you want to Learn Where Ninjutsu Originated From..To the Right Person and a Serious Student to the Art.. This Book Is better than Gold. Hatsumi Sensei's works are beyond my capacity to be rated. However, this is a must have for any Bujinkan Budo Taijutsu practitioner! Entertainly book. I confess I expected some more about it but anyway, this is a nice and very informative book.